Since 1962, Shopko has provided quality name-brand merchandise, great values and services to small and mid-size cities and have consistently met the needs of smaller communities across the Central, Western and Pacific Northwest regions of the U.S.
Over the past several months, we have been taking action to drive improved performance and strengthen Shopko’s financial position. 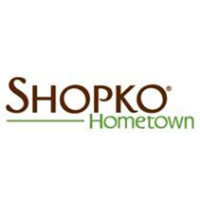 Today, Shopko took an important step towards protecting our future and ensuring our ability to continue delivering the high-quality products and services that our customers are accustomed to receiving. Today's announcement provides clarity about the path forward for us, and we are confident the outcome will be a stronger Shopko for you, our valued customers, through the process. If you have questions about this process, you can find FAQ’s and additional information on a special page on our website at http://info.shopko.com. We will be sure to communicate with you throughout our reorganization and give regular updates as important decisions and major developments take place.